The World Anti-Doping Agency (WADA) has suffered a huge drop in its budget for scientific research into new testing methods over the last 10 years. In 2006, almost $7 million was spent annually in comparison with just $1.5 million in 2018. This represents a fall of more than 78 percent in a 12 year period and is likely to have had a significant impact on advances in testing procedures. WADA director general Olivier Niggli said today that the fall is due to their funds having been taken away from research to pay for other activities, including the investigations into Russian doping. “Unless we get back to a reasonable level of research we will fall behind,” Niggli said here at the WADA Symposium. “We will not see this straight away but three or four years down the line. “We want to bring it to $3.5 million by 2021. The statistics given do not include an additional $12 million pledged in 2014 on a 50:50 basis by International Governments and the International Olympic Committee (IOC). This money is due to run out, however, at some point over the next year. In total, WADA has committed $73 million into scientific research since it was formed in 2001. At present, WADA has not been able to fully fund research into areas such as artificial intelligence testing. There has also been a distinct lack of progress over the last eight years in testing to detect erythropoietin (EPO) and other drugs used more by endurance athletes. It is hoped, though, that new omics testing technologies looking at genes, protein and metabolites will eventually lead to improvements and longer detection-windows. Separate research is conducted by other bodies including Governments and National Anti-Doping Organizations (NADOs). Niggli believes this is limited, however, as funding there can often be switched from anti-doping areas into other areas, such as cancer research. This formed one dimension of a four-year plan explained today by WADA. A budget increase from $500,000 this year to $1.2 million in 2021 has also been earmarked for the Intelligence and Investigations Department. At present, they can only explore 12 percent of the potential investigatory work which arises from whistleblowers and other sources. It is hoped this will rise to 50 percent, helped by a larger team of seven rather than three staff. Spending in WADA’s whistleblower program is also forecast to rise from $400,000 per year in 2018 to $700,000 per year by 2021. Their capacity building budget is expected to rise from $1.4 million in 2018 to $3.9 million by 2021. This should allow more testing and to reduce inequality between anti-doping work between different regions. An increase in the budget for Accrediting and Monitoring Laboratories from $800,000 this year to $1.8 million by 2020 is also targeted. 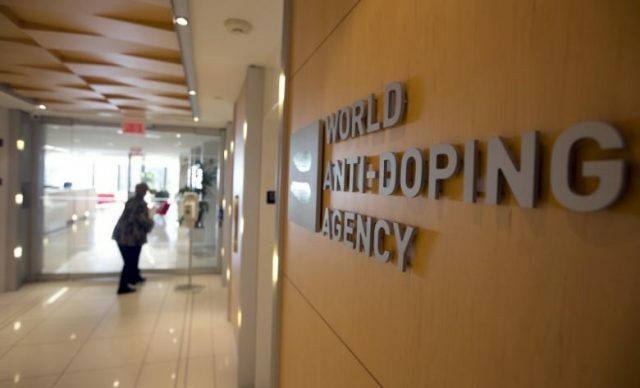 The budget for the Anti-Doping Administration and Management System (ADAMS) is due to decrease, however, from $2,2 million this year down to $1.6 million by 2020 as a result of reforms such as a paperless system. The total budget is increasing by $2.3 million this year to $32 million in an eight percent rise. Niggli and WADA President Sir Craig Reedie have made clear here that they need further rises and are exploring private sources of income as well as greater Government contributions to do this.